All buzzers start off as bloodworms but few anglers, until very recently, have bothered to carry an imitation in their bags. This is an excellent choice in this context. Bloodworms are classically found at the bottom of lakes, and a good deal of weighting is required to effect this, on a slim dressing. In broad and in very basic terms - the bloodworm is the stage larva of a buzzer/ chironomid. Superglue on a splitshot, paint it red with Veniard’s Cellire varnish, and simply secure a contorted piece of red flexfloss into position with a small amount of red 8/0 thread. 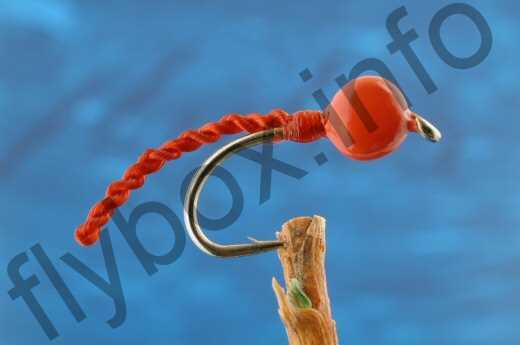 Currently there are no comments about the Helix Bloodworm fly pattern from other fly fishermen yet.